Whether you are the only person in your car or whether you have a gaggle of kids wherever you go, it can be surprising just how messy your vehicle can get. Old tissue boxes, receipts, documents, clothes, and toys are just some of the items that you can find in any car. Well, the problem is that not only do all of these things make your car look chaotic, it can also be quite dangerous! This is because while driving, all these things can easily become flying debris and seriously hurt you. To make sure that your car is neat and tidy you need a backseat organizer to keep things in order. While there is no end to the number of products that you will come across, you will quickly realize that not all of these items are equally good. If you want to make certain that you are only choosing from the best backseat organizers, then you should take a look at this guide. Here we review the best products and even dig into what you should consider when buying an organizer. How Can the Organizer Be Attached? Organizer Size: we observed the size of each of the organizers and determined just how much each product could store in the space provided. Storage Features: we inspected how the pockets and sections of the organizer were ordered and just what could be stored in each segment. Kid Friendly Features: one of the main reasons that people use backseat organizers is to keep all of their kids’ items in order. So, we looked into just how kid-friendly each product was. Durability: since it is important for the organizer to last as long as possible and to withstand everyday wear and tear, we took into consideration the materials that they were used and how well they would hold up. Why we like it: The Lusso Gear Back Seat Organizer has numerous storage options, is well constructed and versatile enough for the whole family. One of the best things about this gear organizer is just how many compartments there are. On top of this, the pockets are designed differently. There are zippered pockets, mesh compartments, and hold-all sections. This gives you the chance to store a variety of objects however you like. There is even a removable pocket that you can take with you when you get out of the car. This gear organizer has a hidden pocket that can be unzipped to unveil a tablet holder. This has been well designed and sits at eye level, ensuring that your child can be entertained for as long as necessary. What’s more, there are two drink holders that are within easy reach of your child. The organizer is also more than capable of dealing with whatever your little one can throw at it. It is waterproof and easy to clean since all it requires is a quick wipe down. It is also incredibly safe for small children as the material it is made from is chemical-free and eco-friendly as well. An aspect that really stands out about this backseat organizer is the fact that it has been designed and built to endure a lot of weight. Take, for instance, the corners of the item that have been reinforced so that they will not sag regardless of how much weight the organizer is carrying. The other nice thing is that the organizer can be fixed to the seat at two different points. This means that it is a lot more secure and will not fly forward, even if you were to come to a sudden stop. However, it does mean that the bottom strap is fixed at an awkward position around the front seat. Why we like it: The Lebogner makes it really easy to organize your things and still have them accessible to you at all times. Now, the Lebogner organizer doesn’t have too many pockets – four in total. While this certainly does leave you with fewer compartments than most organizers, it also has its upsides. There is a good chance that you don’t have too much time to sort out all of the items in your car. This organizer, however, lets you put away things incredibly quickly but still have them accessible. The large pockets are ideal for storing an assortment of items. If you are someone who likes to carefully arrange items into smaller compartments, though, you will find this design lacking. Are you tired of your kids messing up your backseat by kicking it? Well, this organizer will prove to be the perfect solution to your problems. This is because it also acts as a kit mat and works to protect the back of your seat. The organizer is waterproof and is also machine washable if you really need to clean it out well. Otherwise, simply wiping it down with a damp cloth will restore it to its original state. The Lebogner organizer has a rather simplistic design which is why it doesn’t actually offer up too many additional features. Still, one of the things that really stands out about this product is the way that it can be fixed to the front seat. See, it has two straps – one that goes around the headrest and one at the bottom. Unlike some of the other organizers, the strap goes under the seat so the person sitting in the front seat will not feel it all. This way, you get to make sure that the organizer is secure and that it is comfortable. Why we like it: The YoGi Prime Backseat Car Organizer is perfect for families that carry a lot of things in the car with them. Do you always seem to have a large amount of stuff in your vehicle at any given time? This could be sports equipment, hiking gear, or tools. Well, the good news is that there is an organizer that has been specifically designed for you. The YoGi Prime organizer has just four pockets but each of them is deep and wide. This allows you to store larger items that you typically couldn’t with other organizers. What’s more, your items can be secured since most of the pockets come with Velcro flaps. If you have really small children, you aren’t really going to find this organizer all that useful. While you can use it to store toys, drinks, and food, it will not be easily accessible to children. It also doesn’t have any entertainment features to keep the kids occupied. You will instantly notice that this organizer is set up differently to others. 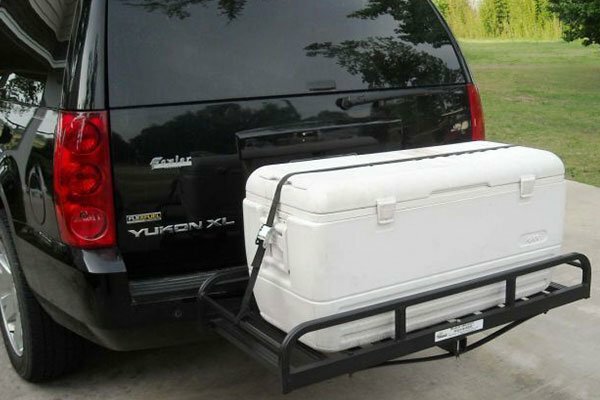 It stretches out across the two front seats and can be secured at various points along the organizer. As mentioned earlier, this does help to store more things in each pocket as they are deeper. Another perk of this design is that you get more choice about where you want to put the organizer as well. If you want to, you can hang it at the back of the rear seat so that the bag hangs in the trunk. 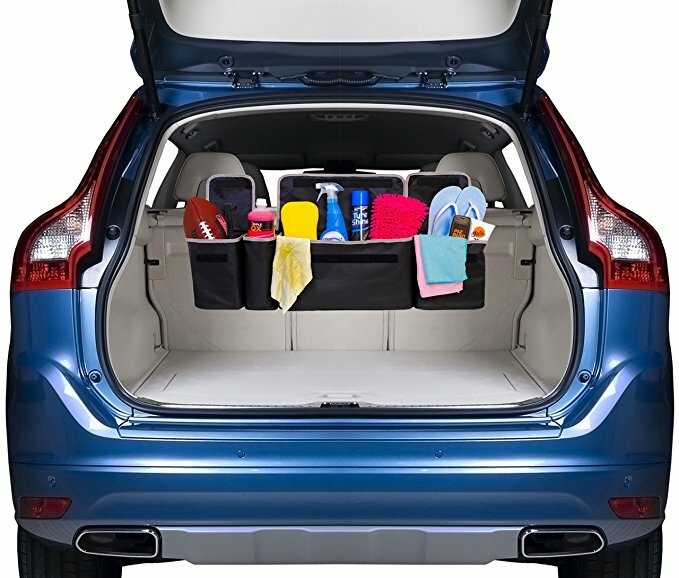 This makes it ideal for storing dirty or soiled items that you don’t want in the main compartment of your car. There is also the fact that this organizer is made from 600D polyester which is quite durable and great for carrying heavier loads for longer. 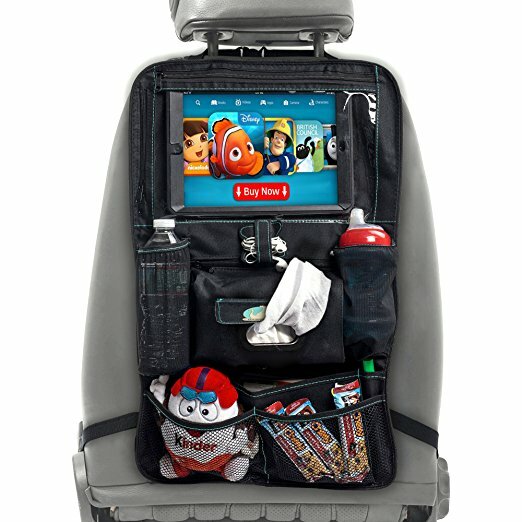 Why we like it: The MyTravelAide Car Seat Organizer is great for anyone who is looking for various storage options for kids. This car backseat organizer doesn’t have all that many pockets. What it does have, though, is variation. See, it comes with two types of pockets. The topmost ones are mesh pockets that are of different sizes. These are great for storing lighter items that you want easy access to. On the bottom, though, is a deeper and larger pocket that has been specially designed for heavier items. There is also the added bonus of allowing you to store even more things here. So, as you can see, you will be able to store as many things as you like in this. The good news is that this organizer has specifically been built for children. On the one hand, you have pockets that are easy to access. At the same time, though, this organizer acts as a kick mat too. So, if your little one has the tendency to kick the back of your seat during a drive, then this takes care of the problem. The material that the organizer is made from is also waterproof which means that your car seats are well protected from muddy footprints as well. The organizer is really easy to clean and will look as good as new once you are done. What really sets this organizer apart from the rest is how well-suited it is for a variety of vehicles. The pads and the organizer are extra-large which means that it will easily cover the backs of seats of even larger vehicles. Not only does this provide you with more storage space, it allows you to protect your seats better as well. Why we like it: The Kodiak Backseat Organizer is great for storing a larger number of items discreetly in your car. If you are like most people, you probably don’t have too much time to spend cleaning out your car. In these instances, you just want to be able to dump as many items as you can and not have anyone see the mess. Well, in this case, the Kodiak organizer will be perfect for you. It is equipped with large and deep pockets that have their own covers. This way, you can quickly and easily put away soiled and dirty items. This organizer is also great if you tend to lug around large or heavy items. The product is strong and durable enough to carry these, even on longer trips. The only real issue here is that the organizer tends to sag forward when it is placed between the seats. Due to the design of this organizer, you will find that it doesn’t work all that well for very small children. For one thing, they are going to find it rather difficult to reach from their seats. For another, the deeper pockets mean that their toys, drinks, or food aren’t as easily accessible. It is great, though, if you have older children and you want to store their sports gear. The way that this organizer can be set up means that it will work well hanging from the rear seat of the car or even the trunk. So, if you want to ensure that nobody knows just how much stuff you cart with you everywhere you go, this is the organizer for you. 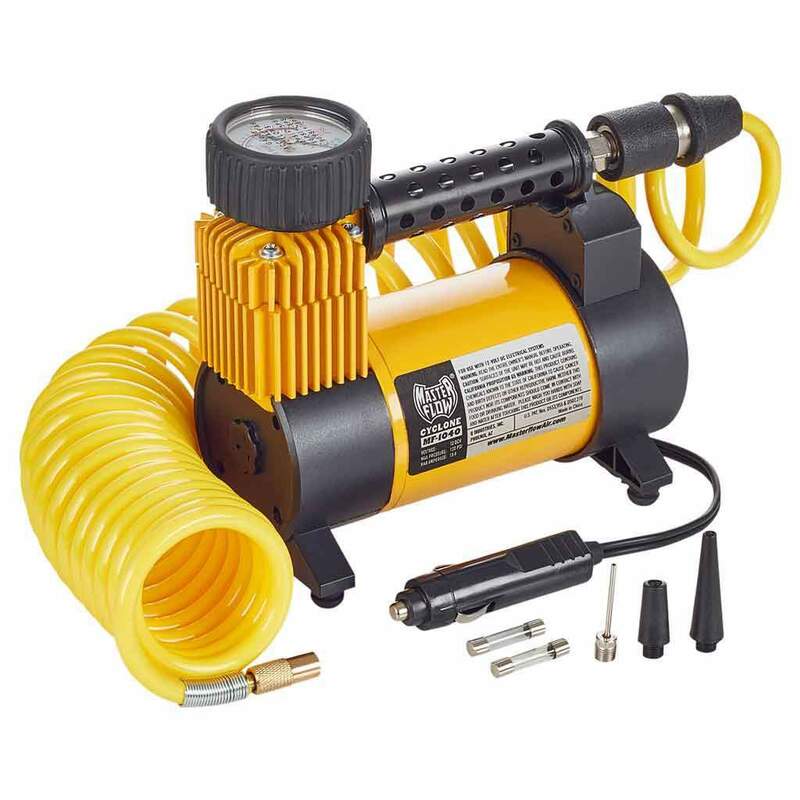 This is why it also is a good option for anyone who wants to carry tools around with them. Why we like it: The BABYSEATER Car Seat Organizer has all the features that a parent could want for a kid’s storage space. Every parent with a young child is aware of just how many things they need to take with them, even if only for a short drive. Well, this organizer makes all this a whole lot easier for you. Due to this, you will be able to take and store all of the essential items for your little one, without any hassle at all. 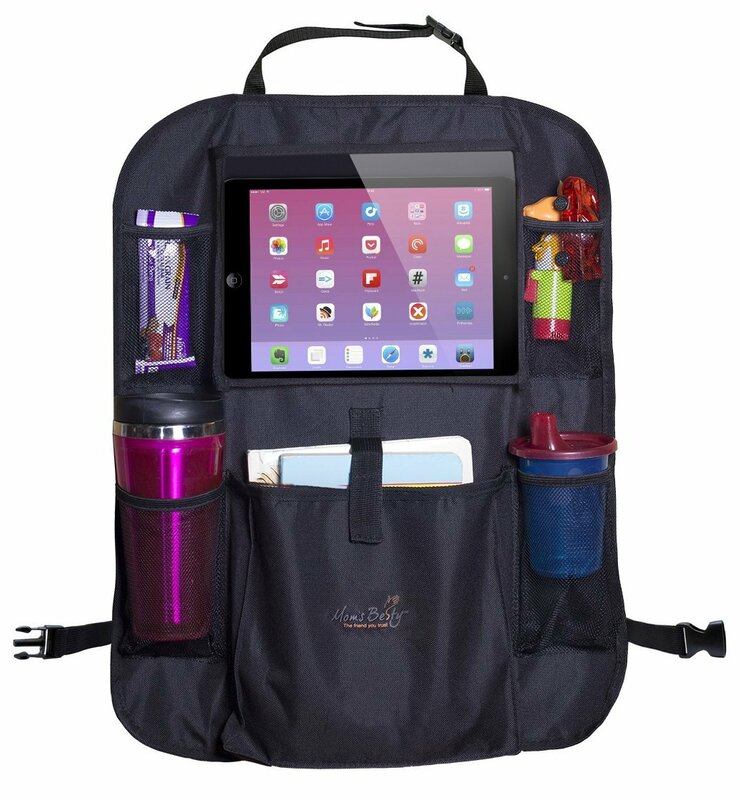 Not only are there numerous pockets and compartments on this product, they all have individualized functions. For instance, there is a protective slot for the tablet to be fitted in. Despite the plastic covering, you and your child will still be able to use the touchscreen on the device. You will be hard-pressed to find an organizer that is better suited for children than this one. This is because it is outfitted with special features for the various needs of your child. For instance, this product is equipped with a specialized holder for either tissues or baby wipes. What’s more, it is lined and insulated which allows the wipes to retain their moisture and remain soft. 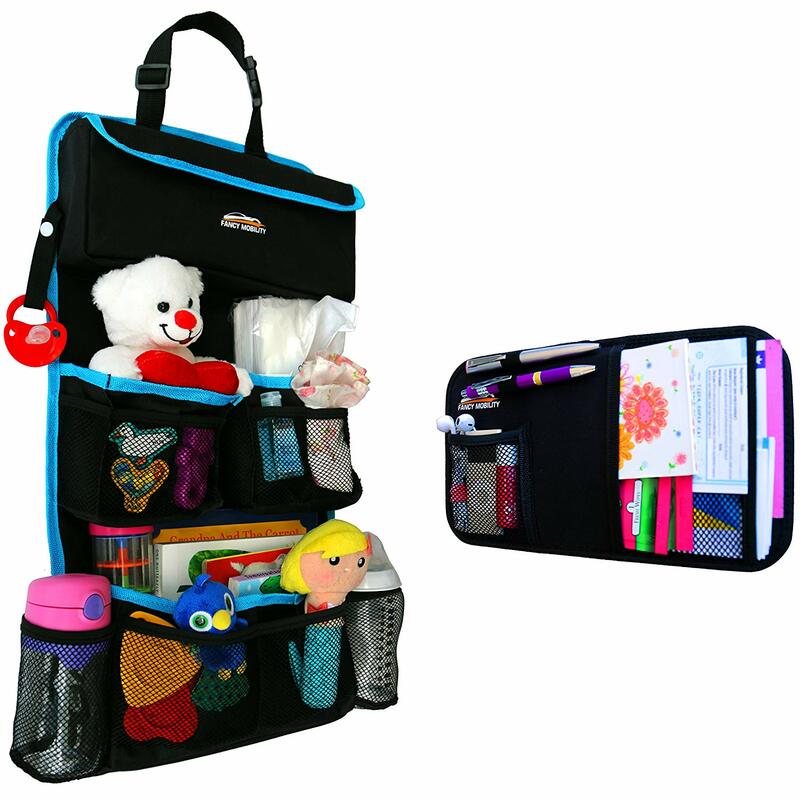 The organizer can also be set up in such a way that it is easy for your little one to reach out and grab their favorite toy or bottle out of the organizer. Parents on the go will be pleased to know that they won’t have to transfer all their child’s belongings at the end of a car ride. Instead, the organizer can be unclipped and attached to the stroller for an entirely new function. This cuts down on a lot of the hassle when traveling with kids. In fact, the only real downside with this organizer is that it isn’t suitable for all car seats, as some might be too wide or too thick. 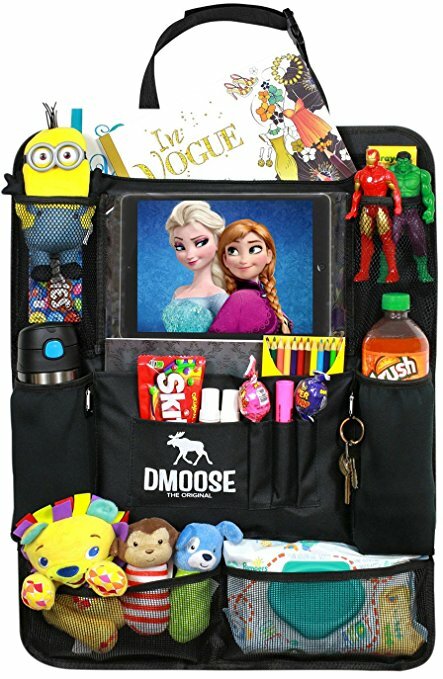 Why we like it: The DMoose Car Backseat Organizer lets you take as many things for your child as you would like. Making sure that your kids are fed and entertained for the duration of the car ride is no easy task. This, however, is what makes this organizer so great for families. It offers up just enough storage options for you to take as much as you want while ensuring that the items are kept separate and easily accessible. 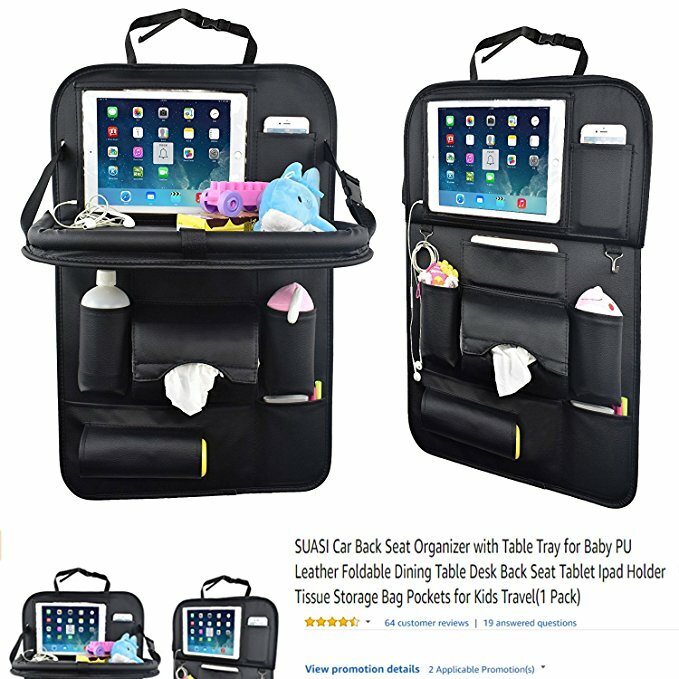 There is even a place to keep your little one’s tablet in place so that they can watch their favorite shows or movies during the car ride. The minor flaw with this design is that there are several very tiny sections. This is rather unnecessary as it can be difficult to put anything in them and they could have had a better use. This is definitely something that can be used for children of all ages. First of all, it can hold whatever your child needs it to, in an orderly manner. It can also be set up so that it’s simple for your child to reach and they can take care of themselves during longer rides. 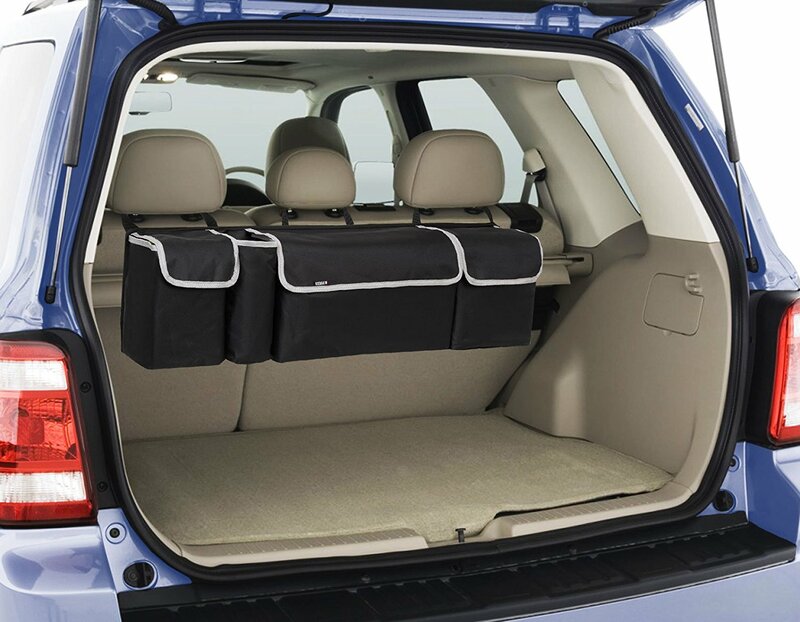 Another reason this is such a good option for family vehicles is that the organizer is made from strong yet safe materials. The items used to construct this feature are non-toxic and also don’t contain any PVC at all. One of the more interesting features on this organizer is the fact that it has special pockets to store drinks. These aren’t just designed to hold the bottle-shaped objects, though. They also have thermal properties that ensure that your drinks will either be kept cold or warm, depending on their original state. 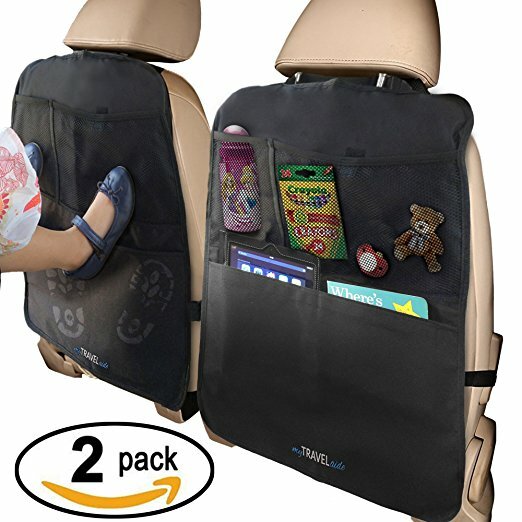 Why we like it: The Suasi Car Backseat Organizer offers you a sophisticated way to make sure that there is plenty of storage space for your kids. If you are someone who likes to keep things ordered, you are really going to enjoy the storage features available with this organizer. The pockets on this organizer range from medium to large, ensuring that you will be able to store a variety of objects in them. There even is a holder for both your tablet and your phone. In addition to the traditional compartments, there are also hooks on the product. This makes it a breeze to hang headphones, chargers, or any other wires so that they are always within easy reach. One thing is for certain, with this organizer, you will be able to keep your car incredibly neat and tidy. There are, however, some unnecessary features like the umbrella holder which really aren’t all that useful. This is actually a really great choice for kids. For one thing, it has lots of useful features like a tissue box holder. This makes it a lot easier for your little one to clean up their mess without needing to dig through a bag. On top of this, the organizer is even equipped with a foldable table. So, if your little one wants a flat surface to play on or just wants to keep their snacks within easy reach, they now can. In fact, once the table is pulled down, there is still a pocket for you to store their tablet so that they can continue to watch movies while they eat. You can immediately tell that this organizer has been designed to be elegant and tasteful. While it may perform the function of an organizer, it will still class up the inside of your vehicle quite a bit. This way, you still get to maintain appearances. Why we like it: The Mom’s Besty Car Back Seat Organizer is great for keeping all your kids’ things in place while also functioning as an entertainment console. There are different storage options available in this one organizer. You can find mesh pockets and bottle holders. There is also a sturdier pocket for larger and heavier items, complete with a Velcro strap to keep things in place. This allows you to store a variety of items of different shapes and sizes. There is also a tablet holder that has a touchscreen viewer window that ensures kids will stay entertained for the whole drive through. Unfortunately, this holder isn’t suitable for many of the medium to large sized tablets and you will find that you have to squeeze them in. This is definitely a seat organizer that has been made especially for children. It can be positioned in such a way that kids will find it easy to just lean over and take whatever they want or adjust their tablet. It also acts as a kick mat so if your little one likes to stomp on the back of your seat, you can rest easy knowing that no damage will be done to it. One of the more useful features on this organizer is the fact that it is made from strong and sturdy 600D polyester material. This means that the organizer can stand up to the wear and tear that is sure to happen when children are around. At the same time, you will find that this organizer is really easy to clean as well and can simply be wiped up. This is also a good option, regardless of the vehicle that you have. 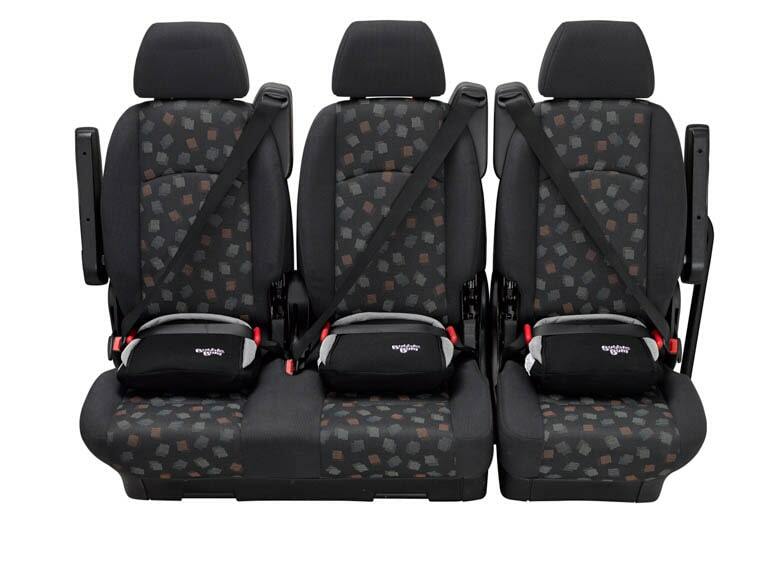 The adjustable straps ensure that you will be able to fit it on to any seat that you have, without any problems. 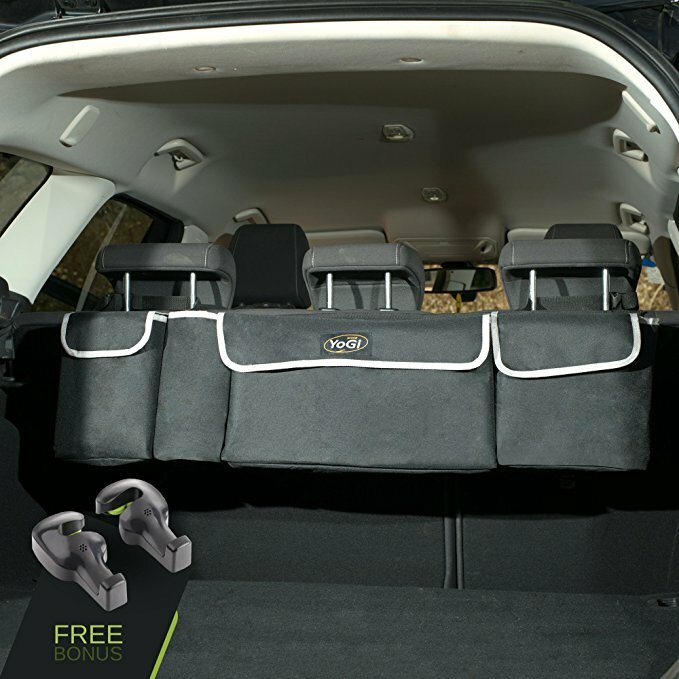 Why we like it: The Fancy Mobility Car Backseat Organizer has lots of mesh pockets that ensure that everything is kept right where you need them to be. With the exception of two compartments, all the other pockets on this organizer are mesh. This means that you can get a little more out of the space due to the elastic tops. There is a large, main compartment that comes with a cover. So, if you are looking for a safe place to keep some of the more delicate items, this is where you can do it. While the storage options on this organizer are top notch, the only downside is the actual size of the organizer. It is a little on the small side and may not be good for those that like to carry a lot of items with them. One of the main reasons that this organizer is such a good option for kids is because everything can be easily reached. This means that your little one will have no trouble at all helping themselves to their favorite toys on a long road trip. The organizer is also made from waterproof materials. In the event of any spills or drips, you can breathe a sigh of relief knowing that it will remain intact and in good condition. It also works well as a kick mat for the seat in front of your kids, sparing the more expensive seat cover. What’s really great about this car backseat organizer is the quality of the materials used and the workmanship. Combined, they ensure that you get a high-quality organizer that will last you a long time. The manufacturer stands by its claims as well, and provides customers with a generous lifetime guarantee. One of the first things that you will need to do when choosing a backseat organizer is to find out what the product is made from. Why is this important? Well, it will help determine just how strong the fabric is and how much wear and tear it can endure. 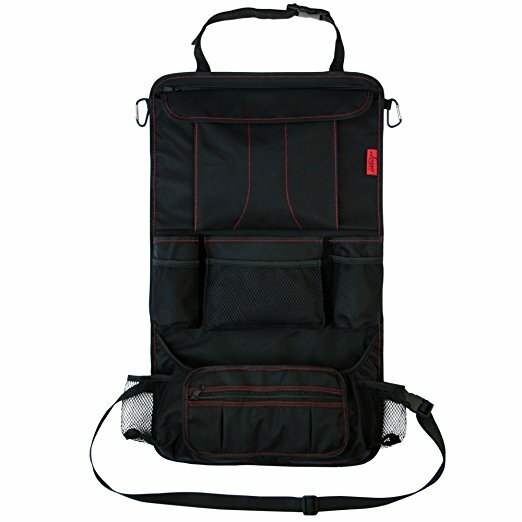 You will find that most organizers are made from either 600D polyester or nylon. In most cases, you will find that the polyester offers the right balance between price and durability. This is because this material is strong enough to withstand daily use, even if you have children who kick it or tug on it quite often. You should also examine whether the fabric used has any waterproof or water-resistant properties. This way, should there be any leaks or spills, you can guarantee that the organizer will not be ruined in any way. Almost as important as the materials that are used is the stitching itself. If you want an organizer that will last you as long as possible, then look for double stitching. This will indicate that the stitching is reinforced and it will not tear apart as easily. The reason that the stitching is so significant is that it will decide how much weight each pocket in the organizer can hold at any given time. One of the main reasons that people end up with the wrong organizer is because they haven’t thought about the features that they require. So, what is the most important feature for you? Do you simply want to stuff as many items into a single pocket as possible? Or, do you want to carefully organize all the things in your car so that they are kept separate from one another? If you just want to make sure that the car is debris-free and nothing else, you should look for an organizer that has deep and wide pockets that can hold a greater number of items. It is even better if the pockets have covers or lids to hide the mess. On the other hand, if you are all about neatness, then you should look for more pockets but those that are smaller in size. This way, there will be a place for everything. So, once you have gotten the pockets and compartments aspect of the organizers sorted out, you need to think about any additional features you may require. 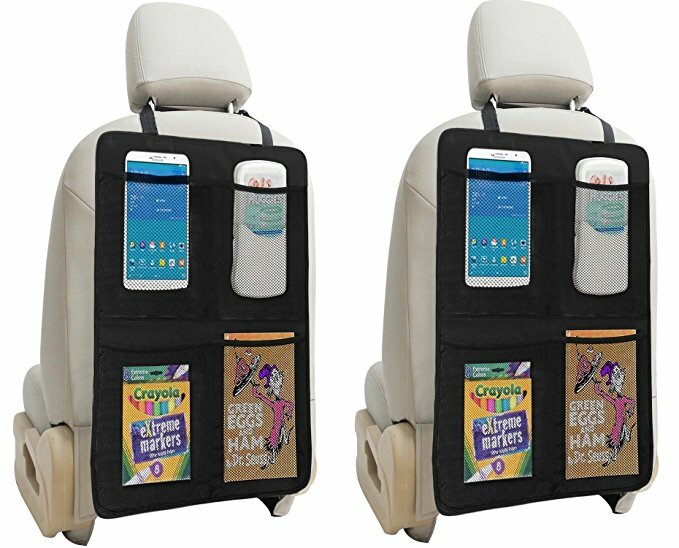 One of the most popular requests is for a tablet holder, particularly if you want to keep your children in the backseat entertained. If this is something that you need, then make it a point to measure the tablet from end to end, precisely. If you want to keep the tablet in its case, keep it on when you are taking measurements. Then, make sure to compare the measurements of your tablet with those of the holder of your chosen organizer. This will provide you with a good idea of whether it will be a good fit or not. There is a good chance that you don’t actually want to have to empty out the organizer every time you leave the car. If you only want to ever pack one bag at a time, consider an organizer that allows you to either have a detachable pack or one that allows you to fold the entire organizer. This will make it a great deal easier for you to move around, particularly with very young children. One of the most important things to remember about choosing the best car seat organizers is to select one that fits your car well. Now, while most manufacturers do provide information about the length of the straps, it can still be a bit tricky to determine whether it will be suitable for your vehicle. An easier way to manage this is to choose an organizer that has adjustable straps. This will allow you to tailor the length of the straps according to the dimensions of the seat. If you have a large vehicle that has seats that are a bit bigger than usual, you should check to see if the manufacturer has extenders. These can be used to make the straps even longer so that they will go around your seat better. Speaking of which, you should look for a backseat organizer that can be kept flush against the seat. So, typically, a product with straps on the top and the bottom are best. This is especially true for organizers that are longer than they are wide. This is imperative is because it will make sure that the organizer remains fixed to the seat at all times. So, should you brake suddenly or turn the car quickly, you don’t have to worry about the passengers in the back getting hit in the face by the organizer. There is no denying that one of your kids’ favorite activities is going to be using the organizer as a kicking mat. Add that to the fact that there are sure to be spills and other messes, and you may have to clean the organizer quite often. So, it is important to make certain that the product can be cleaned, in the easiest way possible. For a quick clean-up, look at whether the organizer can be wiped down with a damp cloth. For something more thorough, examine whether the organizer can be machine washed. This brings us to the end of this guide about backseat organizers, which ones are the best, and how to go about selecting the one that is most suitable for you. Hopefully, this provides you with all the knowledge you need to make the right choice.